NOTE: If you are a part of a support group or have contacts within the medical community and would like to receive printed materials as handouts or information to pass on please contact webmaster@dinet.org We will do our best to accommodate all requests. We support your efforts! NIH All of Us Research Program - Champion Partnership. The National Institute of Health has an ambitious research program underway to gather health information from 1 million or more people in the U.S. The program focuses on Precision Medicine principles which mean (in a severely condensed definition), not all people are created equal so not all treatments to their health can be treated equally. Why is that important to dysautonomia patients? Dysautonomia is a rare disorder that encompasses many variables - which type of dysautonomia? 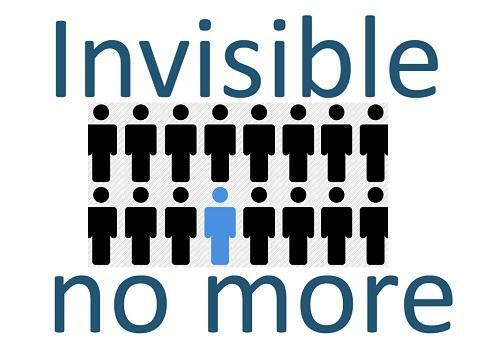 Is it a primary disorder or secondary to MS or another illness? Are you a man or a woman? What age are you? All of these things impact the way dysautonomia effects us and how we are treated. Yet, most medical treatments are based on the average response the average amount of people have to the average amount of symptoms. Precision medicine seeks to change that by having enough data stored to allow physicians and researchers to gather very specific information from people with very specific criteria. So, if a doctor is treating a man in his 70's with dysautonomia as a secondary illness to Parkinson's disease, the treatment plan won't be based on data derived from a study that was collected from 25 - 35 y.o. women with POTS contracted after flu, mono, and other viral illnesses. This is a very simplistic description of the program and its benefits, so please read more on our information page to learn more. Facebook Live Meetings - DINET is a 100% volunteer organization and our volunteers are 100% patients and caregivers (mostly patients) - we are also a 501 (c)(3) nonprofit, which means we don't have unlimited funds and we don't always have much more energy or healthy days than you do. So we can't possibly travel around the country and the world, attending face to face meetings and doing presentations about dysautonomia in all the ways we would love to. So we are doing the next best thing - using digital and social media to get the word out and provide support. Support and Resources - DINET has packets of information we can provide for your group meetings, your physician's office or your organization. Please contact webmaster@dinet.org and let us know what you need and to discuss what we can do to help. Seacoast POTS Support group: The very energetic group has accomplished much in the name of dysautonomia awareness this year. Recently, their state of New Hampshire received a declaration from their Governor for October Dysautonomia Awareness Month. And in October, business windows in the downtown area of Dover, NH will be lit blue, in honor of the month. 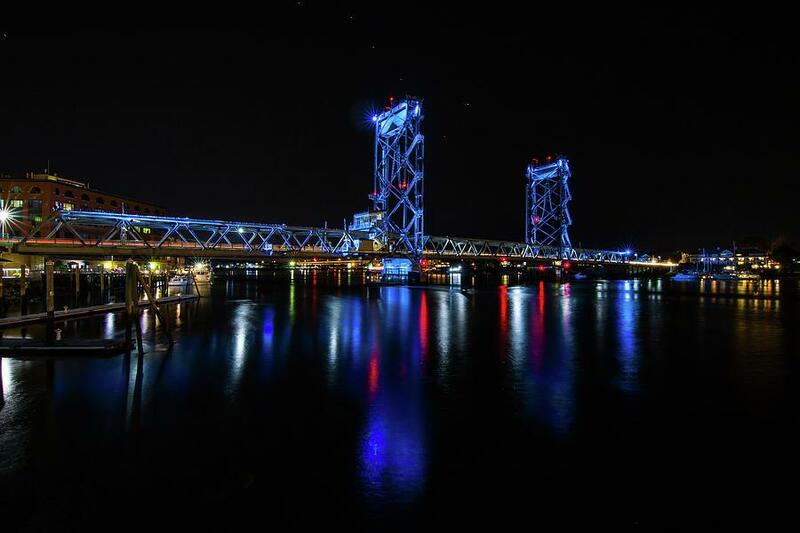 And on October 27th, the Memorial Bridge in the City of Portsmouth, NH (seen at left) will be lit up to encourage awareness. Congratulations to the group and much thanks for doing all that you do! Member: Pistol writes: "I hold classes about dysautonomia at our local college, share new studies with my docs and work with local ER's and PCP's to educate them about POTS. I am also in the process of starting a local support group for dysautonomia sufferers." "I am doing a fundraiser on my FB page and I will also be sharing info links about symptoms, management and diagnosis every day for October. Education is vital to ourselves as well as our friends, families, caregivers and especially our doctors. If you can get one doctor or nurse to understand the symptoms or even that we are to be believed you will have made a positive contribution." "One of the best things that came from doing advocacy is that it has had a wonderful effect on my management and care. My doctors know I understand the condition and how I stress the necessity to establish unique and individual management programs, especially as we age. We are all unique and need care tailored to us, not some one-size fits all treatment. Let your doctors know what you are learning and doing, what info you are sharing to help others. Doctors are usually impressed with patient advocacy and it will improve how they treat you all around. Never give up, never surrender."